22 December 1998: Merry Christmas and a Happy New Year! 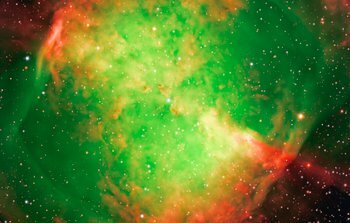 17 December 1998: Much attention has been directed recently towards the spectacular first images obtained with the astronomical instruments now being tested at the first (UT1) of the four 8.2-m VLT Unit Telescopes at the ESO Paranal Observatory. There has indeed been a great interest in the newest, deep VLT views of the near and distant Universe by FORS1 in visual wavebands, as well as the first infrared glimpses into star-forming regions by ISAAC, available at the ESO website in different sizes and resolutions. Many of the original observational data will be placed in the VLT Archive in early 1999 and can then be accessed for scientific studies - an announcement will be made in due time. 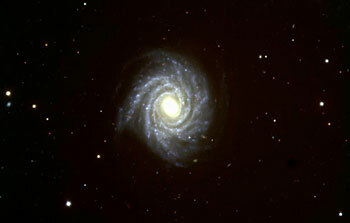 15 December 1998: Since the discovery of the expansion of the Universe by American astronomer Edwin Hubble in the 1920's, by measurement of galaxy velocities, astronomers have tried to learn how this expansion changes with time. Until now, most scientists have been considering two possibilities: the expansion rate is slowing down and will ultimately either come to a halt - whereafter the Universe would start to contract, or it will continue to expand forever. 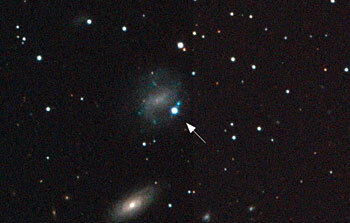 However, new studies by two independent research teams, based on observations of exploding stars (supernovae) by ESO astronomers  with astronomical telescopes at the La Silla Observatory as well as those of their colleagues at other institutions, appear to show that the expansion of the Universe is accelerating . 1 December 1998: A few days after the "First Light" of the VLT Infrared Spectrometer And Array Camera (ISAAC) at the first 8.2-m VLT Unit Telescope (UT1), the ESO Team of astronomers and engineers at Paranal have succeeded in observing a lunar occultation of Jupiter with the new instrument. During this event, that took place on 28 November 1998, the dark rim of the Moon's disk moved in front of the planet, covering it from view. Somewhat later, Jupiter reappeared behind the opposite, illuminated rim. 26 November 1998: The "UT1 First Light" observations in May 1998 were done with the VLT Test Camera (TC) mounted at the Cassegrain focus of the first 8.2-m VLT Unit Telescope. 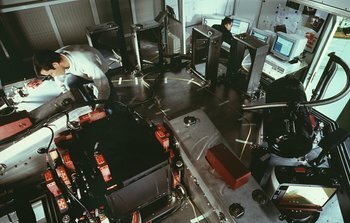 26 November 1998: Performance verification is a step which has regularly been employed in space missions to assess and qualify the scientific capabilities of an instrument. Within this framework, it was the goal of the Science Verification program to submit the VLT Unit Telescope No. 1 (UT1) to the scrutiny that can only be achieved in an actual attempt to produce scientifically valuable results. 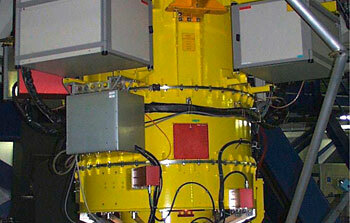 To this end, an attractive and diversified set of observations were planned in advance to be executed at the VLT. 26 November 1998: Following the installation and first commissioning period of FORS1 at the first 8.2-m VLT Unit Telescope (UT1), the FORS Team is now busy reducing the wealth of data obtained during this first series of test observations. Apart from allowing the assessment of the technical performance of the instrument, a number of images can also be used for extracting information of scientific interest. 26 November 1998: The VLT Infrared Spectrometer And Array Camera (ISAAC)  was installed at the first 8.2-m VLT Unit Telescope (UT1) on November 14, 1998, cf. ESO PR Photos 42a-h/98. ISAAC is the second major VLT instrument to be installed at the VLT and the first to be fully designed and developed at ESO within its Instrumentation Division. 24 November 1998: During the past three years, about fifteen planetary companions have been discovered in orbits around dwarf stars. They have revealed to astrophysicists a broad diversity of planetary systems at other stars. 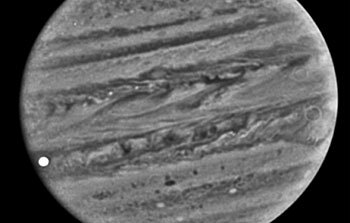 Giant planets with masses ranging from half to several times the mass of Jupiter, the largest planet in our own solar system, have been detected with various telescopes. The orbital periods range from 3.1 to 1650 days; while some of the orbits are of circular shape, others are very elongated. The observed diversity naturally raises questions about how these exoplanets are formed. Now, following only a few months of observations, a Swiss team of astronomers , working with a new Swiss astronomical facility at the ESO La Silla Observatory mainly dedicated to the search for exoplanets, has made its first planetary detection. It is a massive planet moving in an almost circular orbit around a nearby star that is itself the primary component of a double star system. 18 November 1998: The third astronomical instrument to be mounted on the ESO's Very Large Telescope (VLT) - following FORS1 and ISAAC - is now nearing completion at the ESO Headquarters in Garching (Bavaria, Germany). Housed in a modernistic building, some 15 km north of Munich, this is a major science and technology centre with advanced laboratory facilities. 16 November 1998: The ESO Very Large Telescope (VLT) is one of this year's winners of the coveted Best of What's New prize by the US Popular Science magazine. 13 November 1998: After the successful activation of FORS1, the first major astronomical instrument at the Very Large Telescope on Paranal, the VLT Infrared Spectrometer And Array Camera (ISAAC) has now been mounted on UT1, the first of the four 8.2-m Unit Telescopes. This followed a period of thorough testing since ISAAC arrived at Paranal earlier this year. 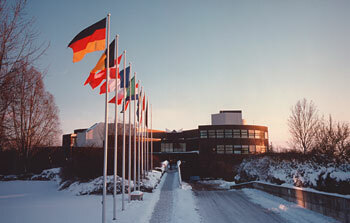 5 November 1998: An ESO Workshop on Minor Bodies in the Outer Solar System (ESO MBOSS-98) was held at the ESO Headquarters in Garching, Germany, during November 2-5, 1998. Among these objects, the newly discovered Kuiper Belt Objects (KBO's) outside the orbit of planet Neptune (also known as Trans-Neptunian Objects) are of particular interest, but the meeting was also concerned with distant comets and some of the small moons of the outer planets. 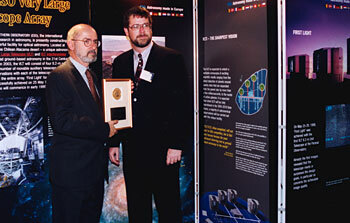 3 November 1998: The appointment of Professor Riccardo Giacconi, Director General of the European Southern Observatory (ESO) since January 1, 1993, to the Presidency of Associated Universities, Inc. ( AUI ) in the USA, has been jointly announced by Professor Paul C. Martin, Chair of AUI's Board of Trustees and Mr. Henrik Grage, President of the ESO Council. 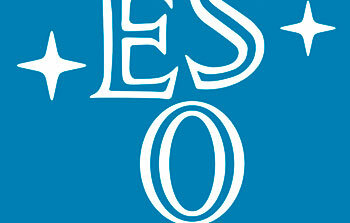 Professor Giacconi will assume this new position at the end of his term at ESO as of July 1, 1999. 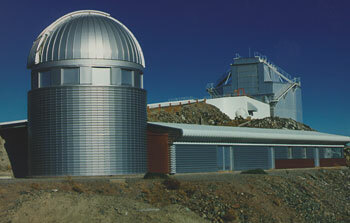 22 October 1998: Observations of famous Comet Hale-Bopp continue with the 15-m Swedish-ESO Submillimetre Telescope (SEST) at the La Silla Observatory. They show amazingly strong activity of this unusual object, also at the present, very large distance from the Sun. The radio observations document in detail the release of various molecules from the comet's icy nucleus. 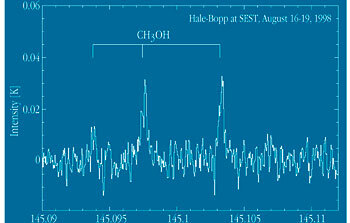 Of particular interest is the observed emission from methanol (CH 3 OH) and hydrogen cyanide (HCN) molecules, never before detected in any comet this far away. 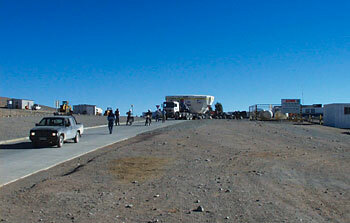 19 October 1998: With the on-going commissioning of more and more elements of the Very Large Telescope Array at Paranal - Unit Telescopes and auxiliary instrumentation - it is expected that there will be an increased stream of news releases from ESO about important new scientific and technological results. In order to enable science editors working for television to benefit from this source in the most efficient way, ESO will from now on issue special Video News Reels (VNRs) with the latest news from ESO and the VLT project. All VNRs will be accompanied by detailed, written information about the images, including a shot list and suggested narration. The sound track will contain original sound, only. 15 October 1998: Several articles appear today in the scientific journal Nature about the strange supernova SN 1998bw that exploded earlier this year in the spiral galaxy ESO184-G82 . 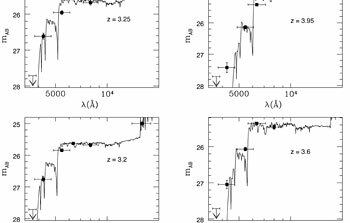 These studies indicate that this event was linked to a Gamma-Ray Burst and may thus provide new insights into this elusive phenomenon. 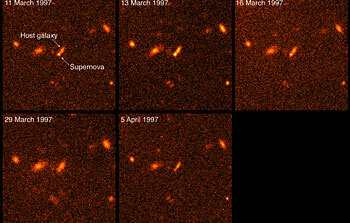 Important observations of SN 1998bw have been made with several astronomical telescopes at the ESO La Silla Observatory by some of the co-authors of the Nature articles . 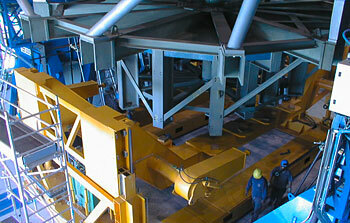 The measurements at ESO will continue during the next years. 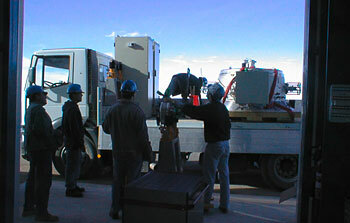 7 October 1998: The FORS Team at Paranal has concluded the first phase of the extensive FORS1 commissioning tests at the first 8.2-m VLT Unit Telescope (UT1), successfully and according to the plan. Although this work was primarily aimed at testing the technical performance of this new instrument, it has also been possible to obtain some spectacular images already at this early stage. And now, for the first time, spectra  have also been observed with the VLT. 23 September 1998: Following a tight schedule, the ESO Very Large Telescope (VLT) project forges ahead - full operative readiness of the first of the four 8.2-m Unit Telescopes will be reached early next year. 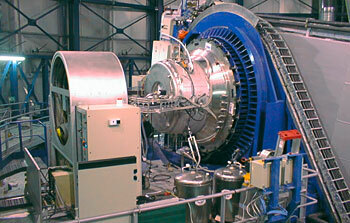 On September 15, 1998, another crucial milestone was successfully passed on-time and within budget. 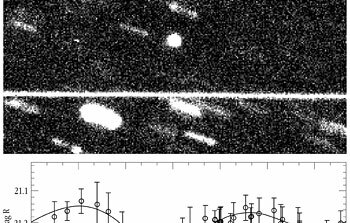 Just a few days after having been mounted for the first time at the first 8.2-m VLT Unit Telescope (UT1), the first of a powerful complement of complex scientific instruments, FORS1 ( FO cal R educer and S pectrograph), saw First Light . Right from the beginning, it obtained some excellent astronomical images. This major event now opens a wealth of new opportunities for European Astronomy. 22 September 1998: The "First Light" event for the first 8.2-m VLT Unit Telescope (UT1) already four months past, the first major astronomical instrument (FORS1) has now been mounted on this telescope, and the first test observations are under way.